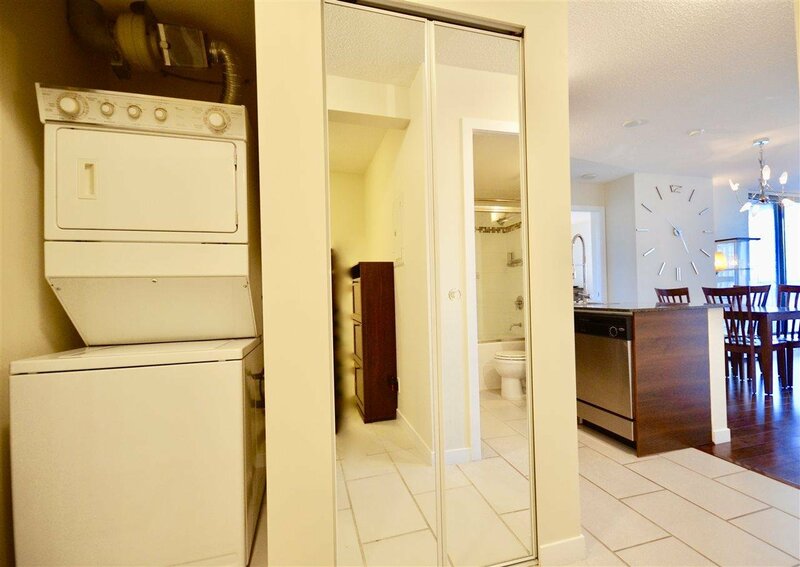 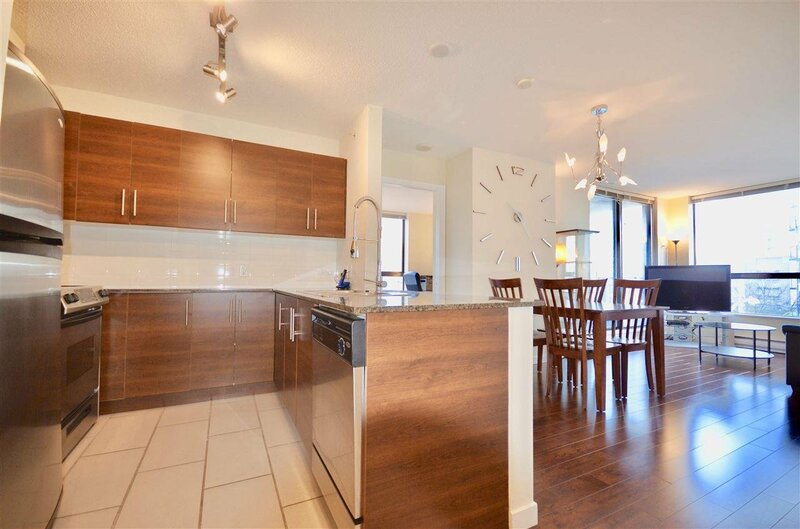 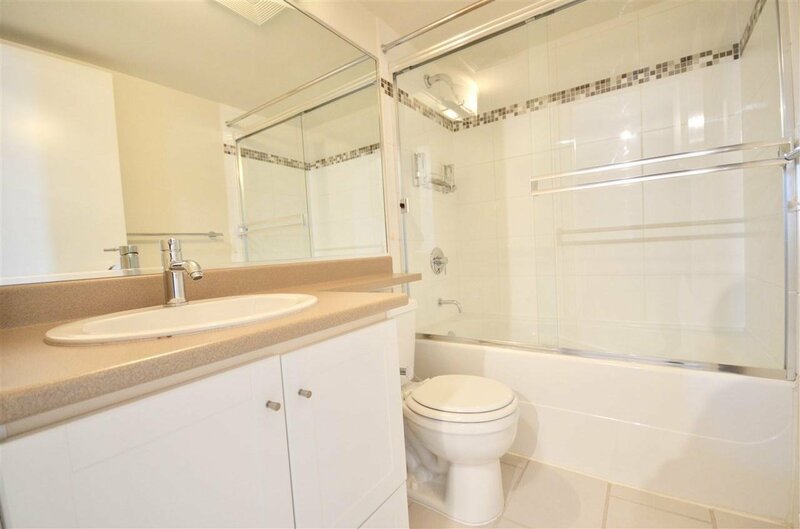 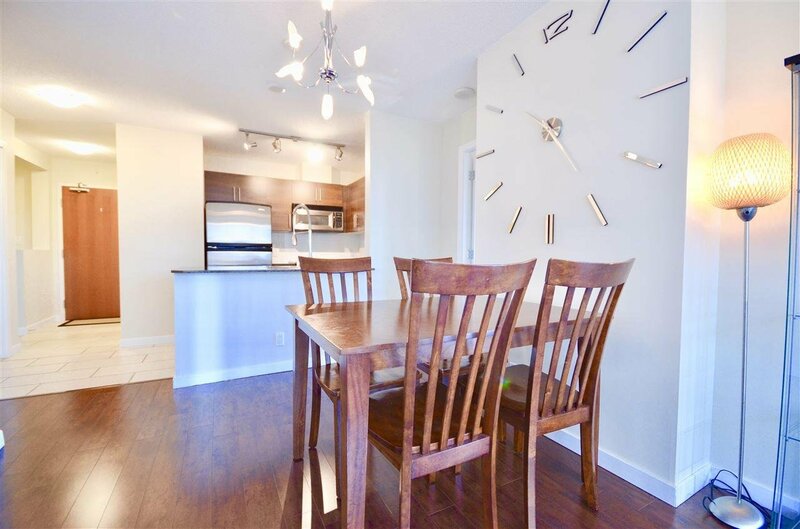 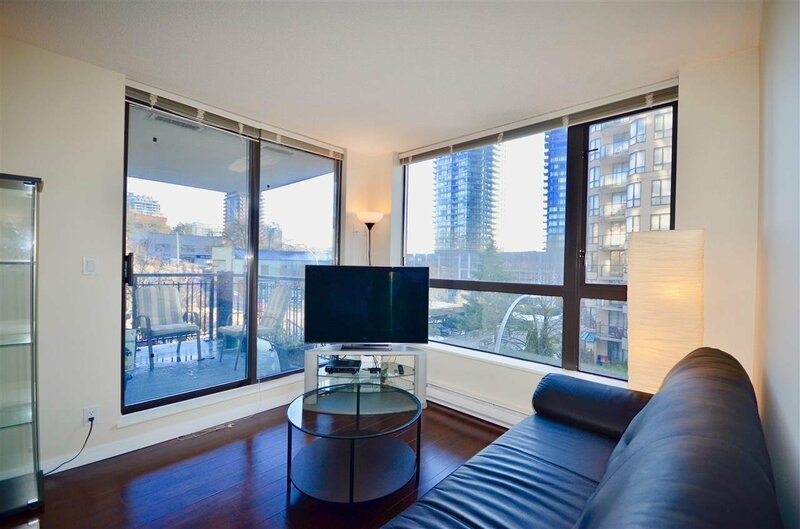 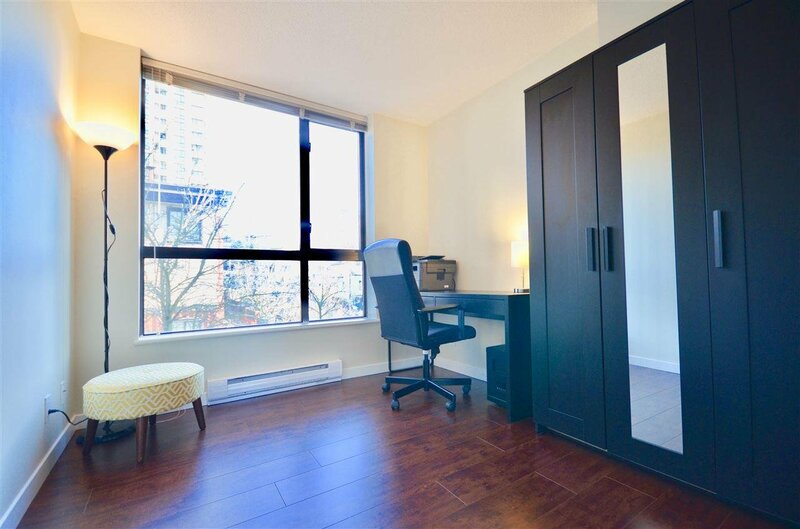 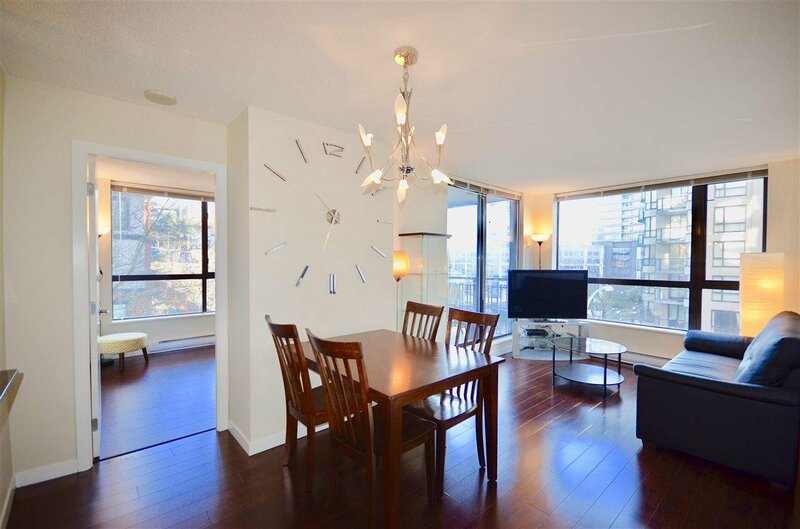 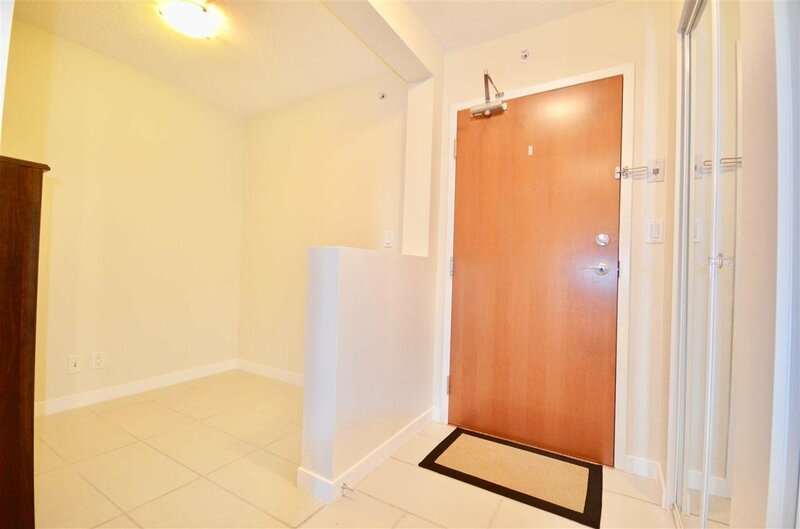 Immaculate & bright, South facing TWO bedroom + DEN condo with 2 parking spots & a locker. 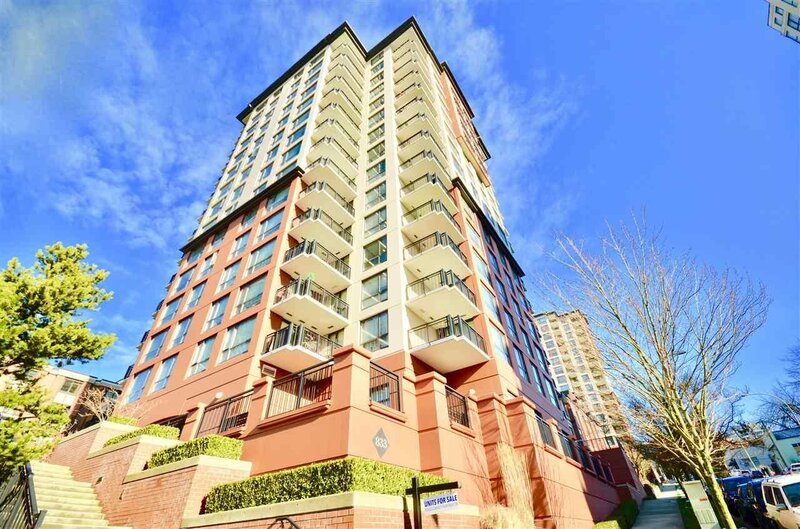 Perfectly located within a VERY short walking distance to the skytrain, the Quay, schools, shops & parks. 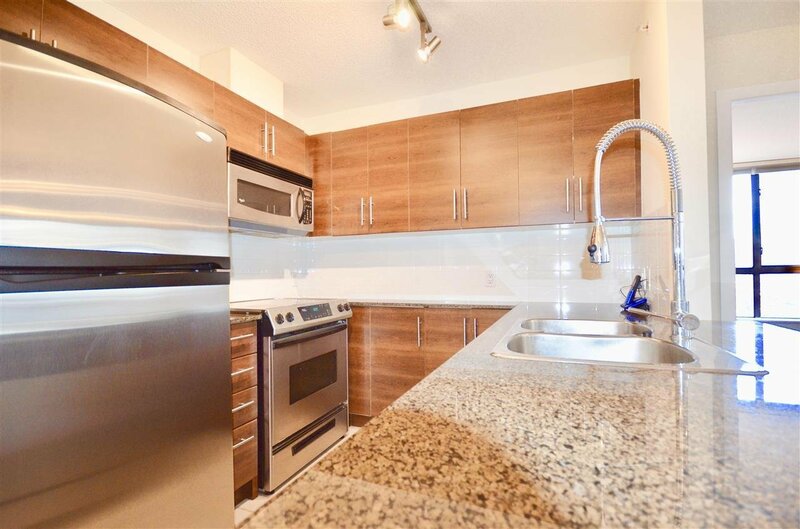 Great open kitchen has lots of cabinets, granite countertops & stainless steel appliances. 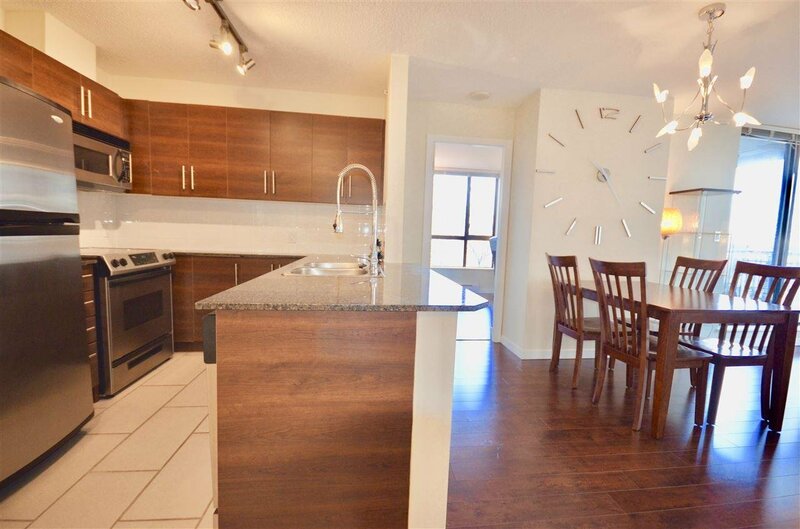 Rich chocolate colour laminate floors throughout & elegant tile in the kitchen & baths. 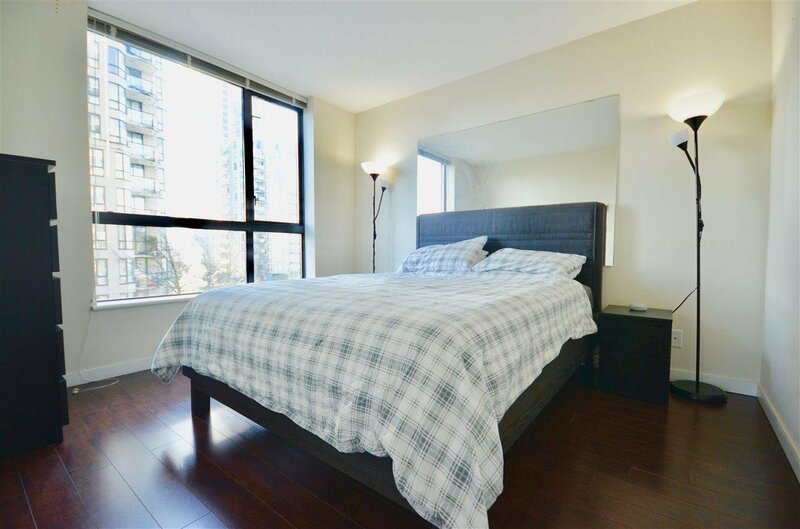 The master bedroom is spacious & private, has an ensuite bath and a walk-in closet with a very convenient shelved storage unit. 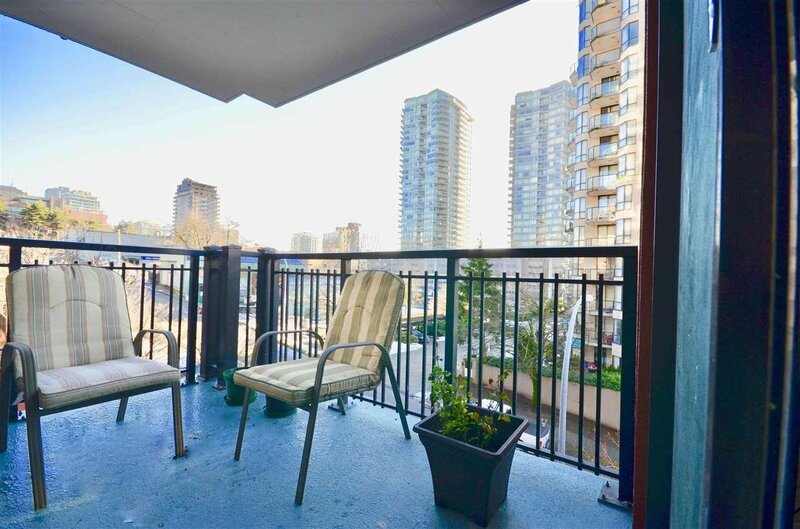 Great balcony, PERFECT for entertaining friends & family. 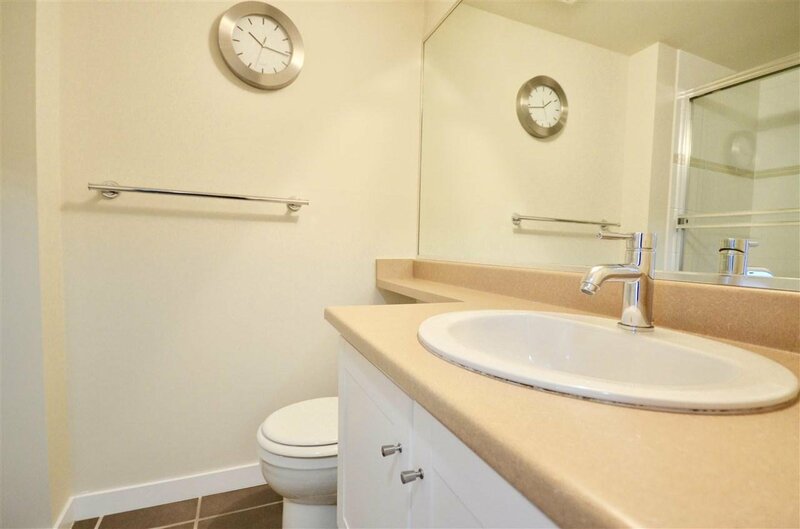 Good amenities: nice gym, garden, bike room, party room, playground & visitor parking.